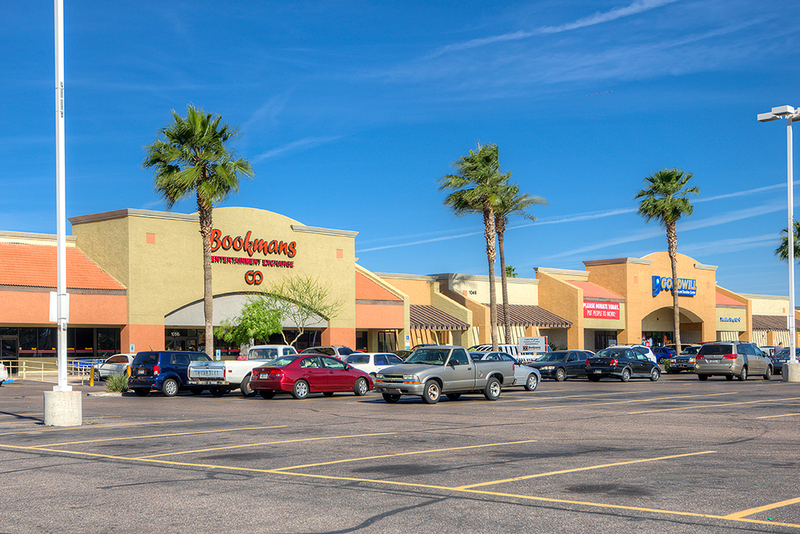 Country Club Plaza is located on the north-west corner of West Southern Avenue & South Country Club Drive in Mesa, Arizona and is anchored by 99 Cents Only, Goodwill and Bookman's. 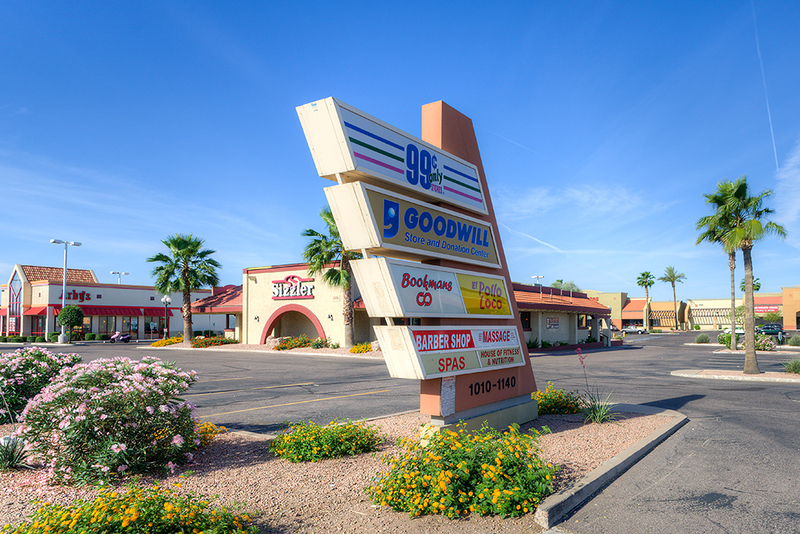 With easy access to US 60 Freeway and exceptionally high traffic counts at the intersection (89,000 cars daily), this is a great location on the going-to-work side of the street. 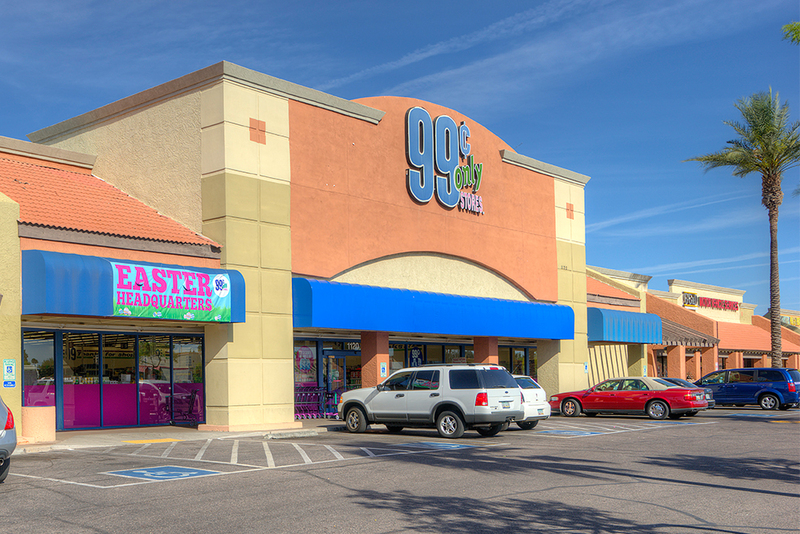 900 SF to 3,240 SF is available on the pad. 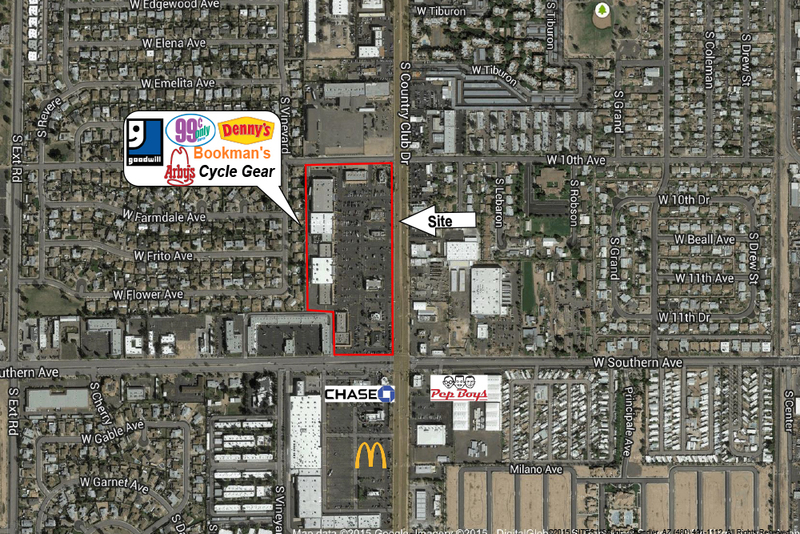 Join other major retailers in the center including Cycle Gear, Sizzler, Denny's, El Pollo Loco, Arby's and Pizza Hut.